For those fans who live on the east coast and cannot make it to Power Morphicon this year due to cost, timing, etc., great news! 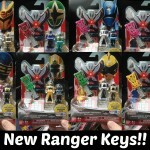 The east coast’s largest gathering of Power Rangers continues on thanks to the folks of RangerStop.com! This show is located in Orlando, Florida and will be held the weekend of November 7th thru the 9th at the Holiday Inn & Suites at Universal Orlando! To help you decide on whether or not you want to attend, they’ve pulled out the big guns. 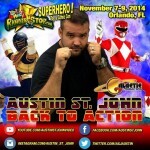 The original Mighty Morphin Red Power Ranger himself, Austin St. John, announced today that he will also be a guest at the show. Check out this awesome guest list below! That is quite the line-up! For full details head over to RangerStop.com or, if you’ve already made up your mind, go ahead and register for the show now! Special thanks to Austin St. John Street Team Member @trekkieb47[/url] for the awesome graphic for the show! Check out this great promotional video for Austin St. John‘s announcement! 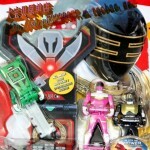 New Super Megaforce Pictures – Patricia Ja Lee? Koichi Sakamoto? 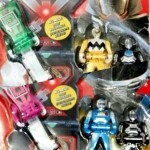 As we reported the other day, the 10 Power Rangers Super Megaforce cameos had flown out to New Zealand and were sharing pictures from their trip. Thanks to many of their Facebook accounts and Instagram photos, we have some new pictures to share with everyone! 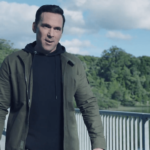 We finally see Selwyn Ward (TJ, Power Rangers Turbo, Power Rangers In Space) as well as Melody Perkins (Astronema/Karone, Power Rangers In Space, Power Rangers Lost Galaxy), as well as Danny Slavin (Leo, Power Rangers Lost Galaxy). A bit surprising to see however is Patricia Ja Lee (Cassie, Power Rangers Turbo, Power Rangers In Space) who was NOT listed as one of the 10 returning cameos. And just as fitting we see Koichi Sakamoto, who served as everything from stunt director to executive producer over the years for Power Rangers. 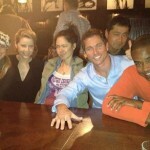 Our cameo actors should be returning home in the next couple of days. In the meantime, we’ll continue to bring you any new and exciting photos that they decide to share of their Power Rangers reunion adventure!